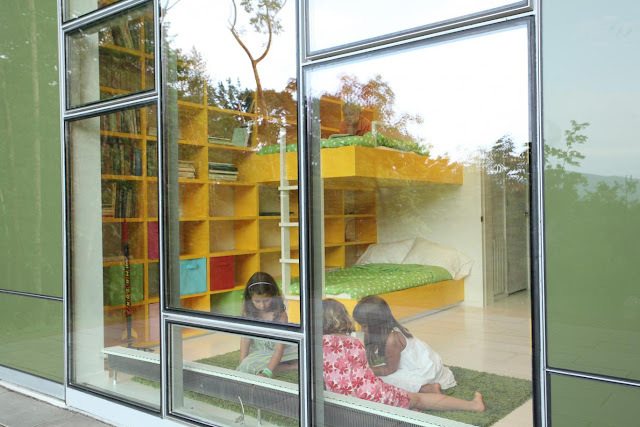 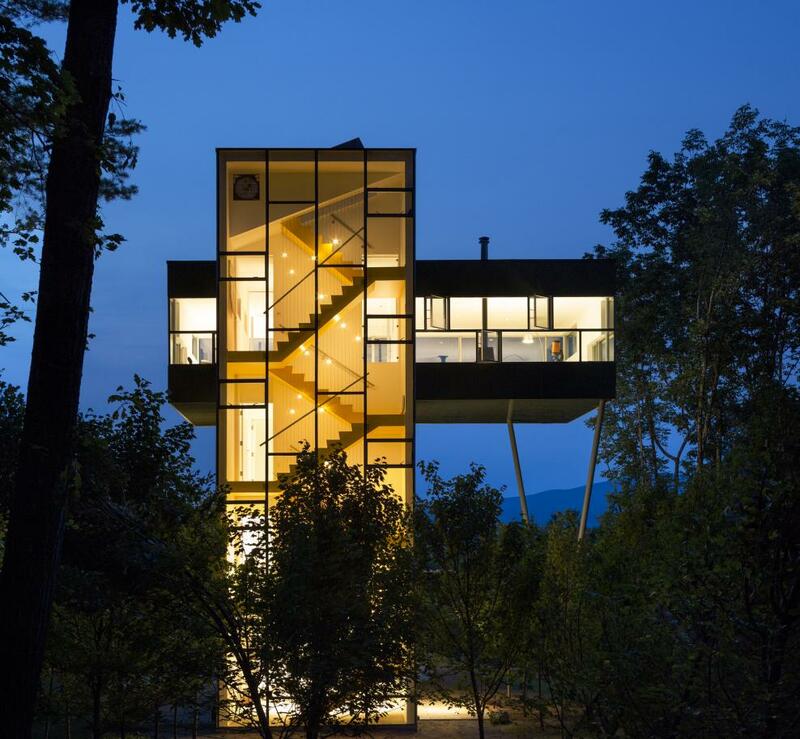 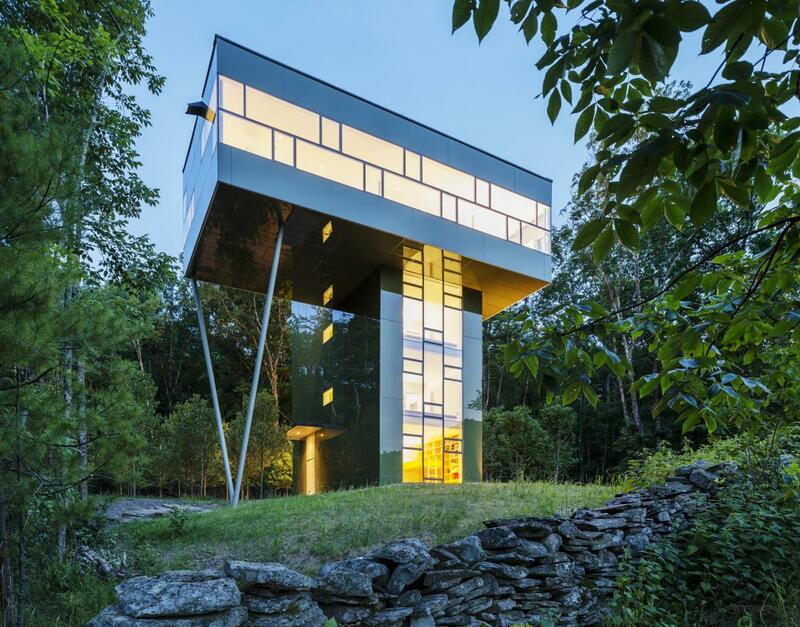 Tower house is a vacation house in Upstate, New York, designed by US firm Gluck+. 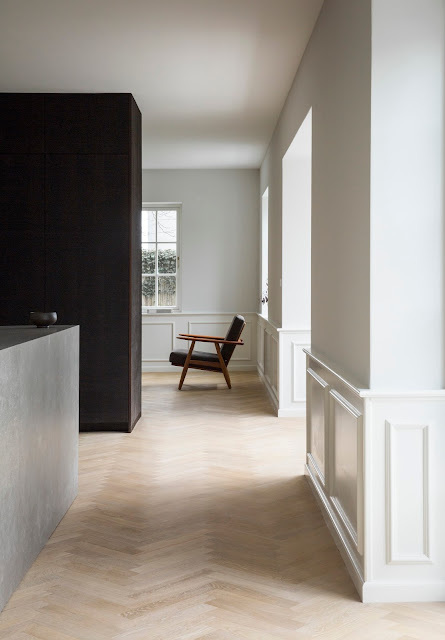 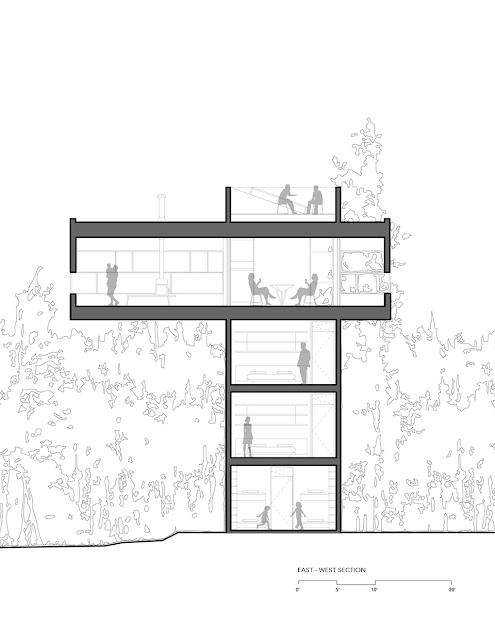 The house is turned on its side, and its parts stacked up to access the view. 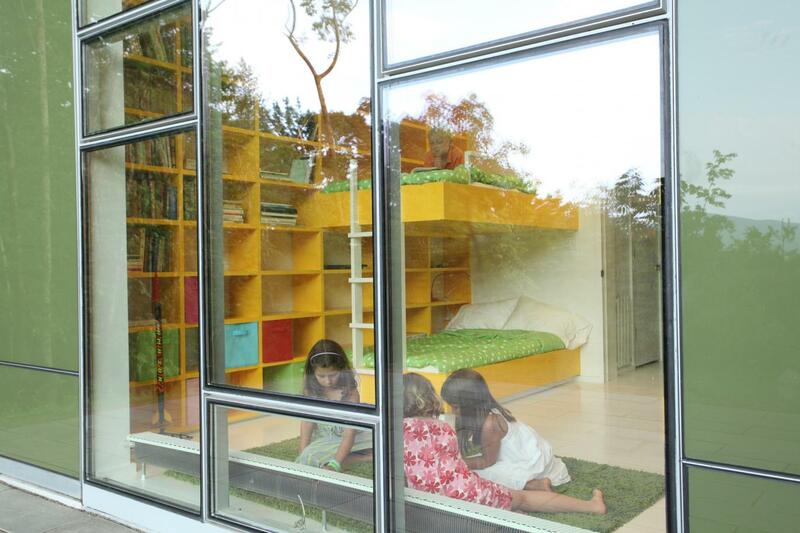 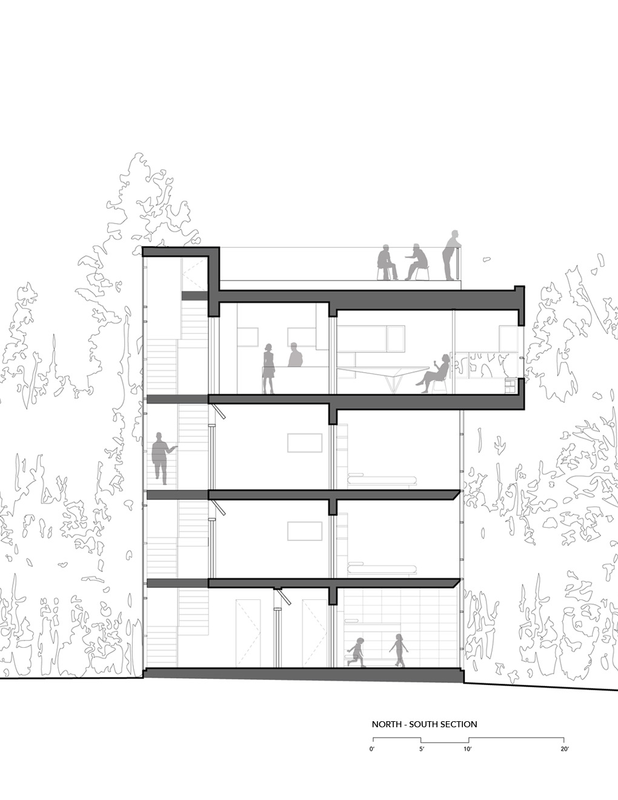 The main living space is elevated, cantilevered nine meters above the ground, up in the trees. 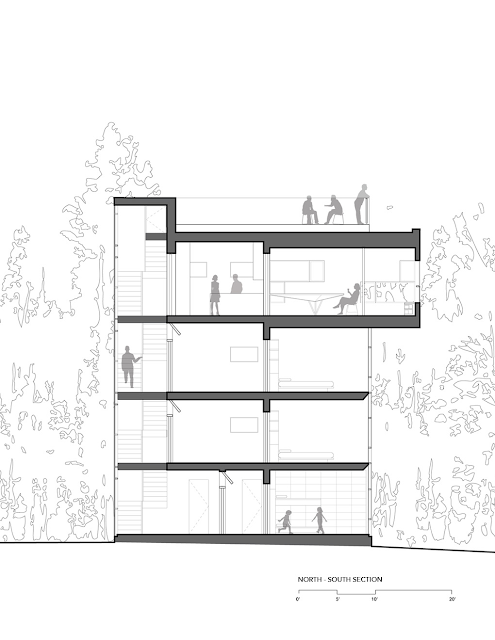 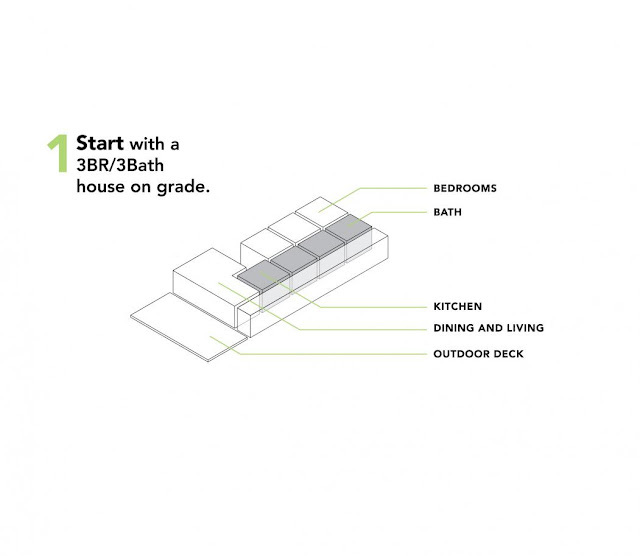 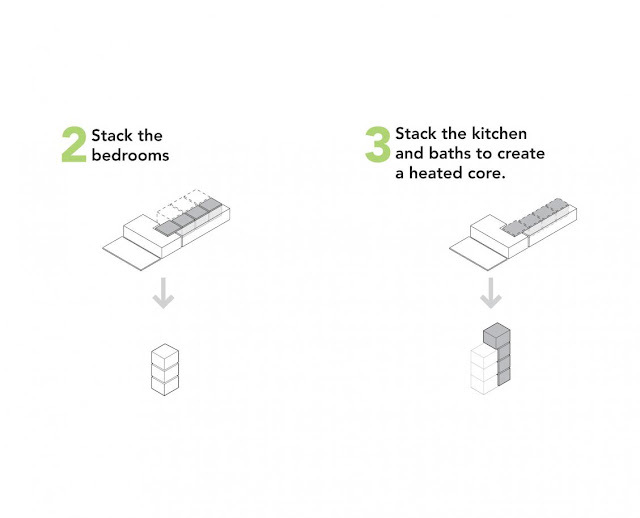 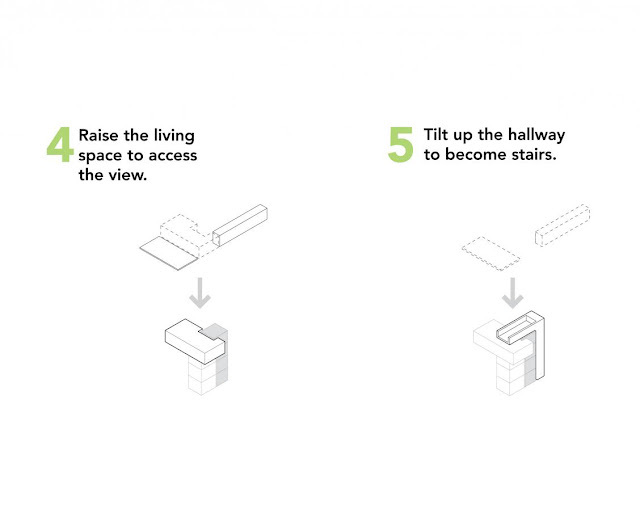 To minimize the impact on the landscape, the building has a base footprint of just 40 sq.m. on the ground, with the bedrooms and bathrooms stacked on three levels and the living areas above. The south oriented fully glazed staircase operates as a solar chimney in the summer, implementing the benefits of stack effect. Hot air rises and is exhausted out of the top, while drawing fresh air through the core from the cooler north side. 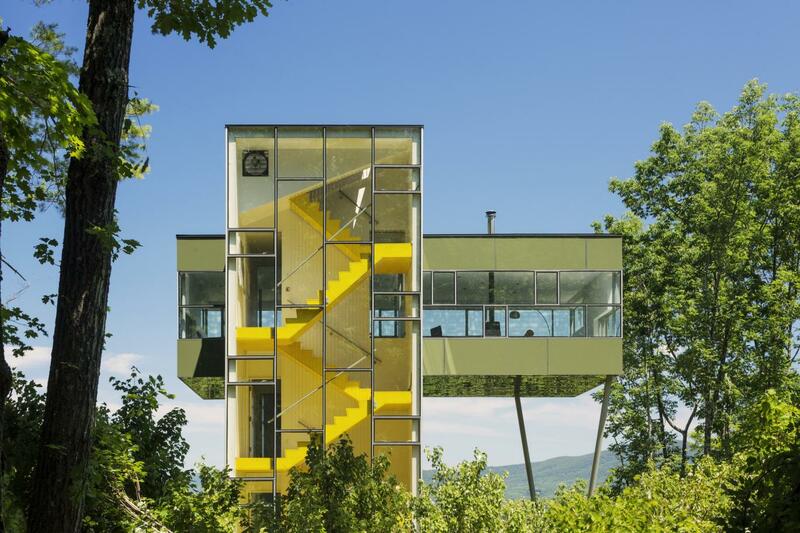 This small vacation house is designed as a stairway to the treetops. 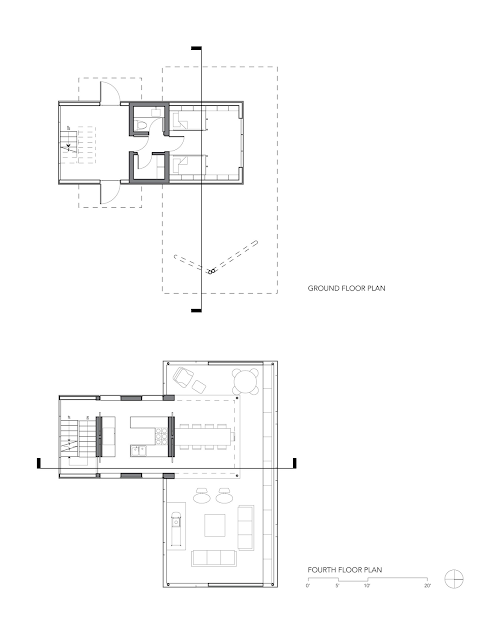 Keeping the footprint to a minimum so as not to disturb the wooded site, each of the first three floors has only one small bedroom and bath, each a tiny private suite. 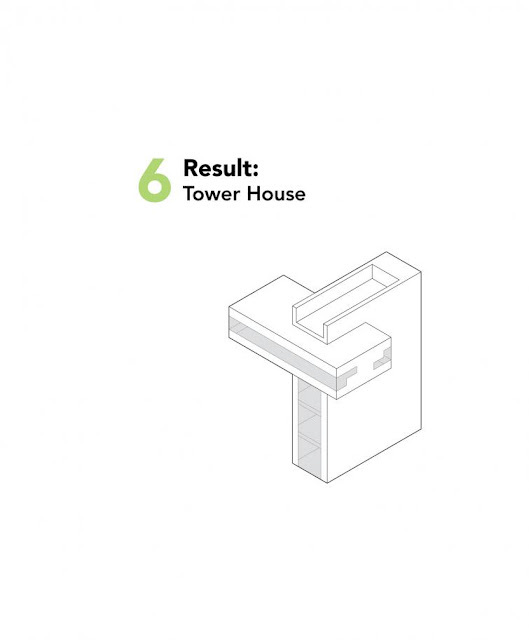 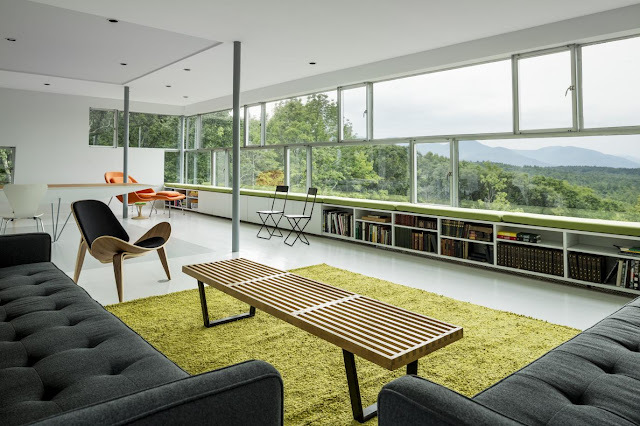 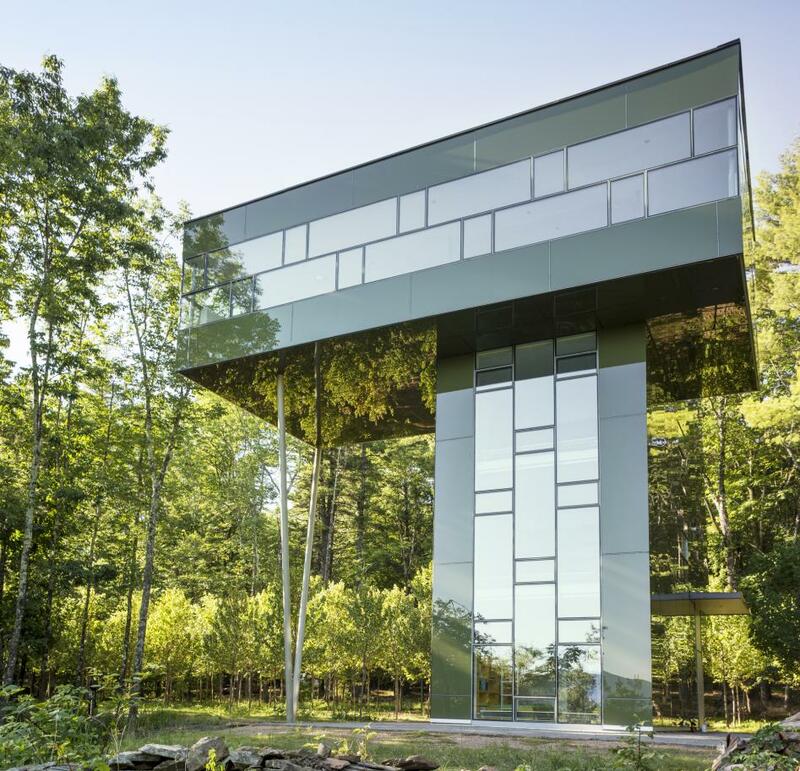 The top floor, which contains the living spaces, spreads out from the tower like the surrounding forest canopy, providing views of the lake and mountains in the distance, virtually the entire Catskill mountain range. 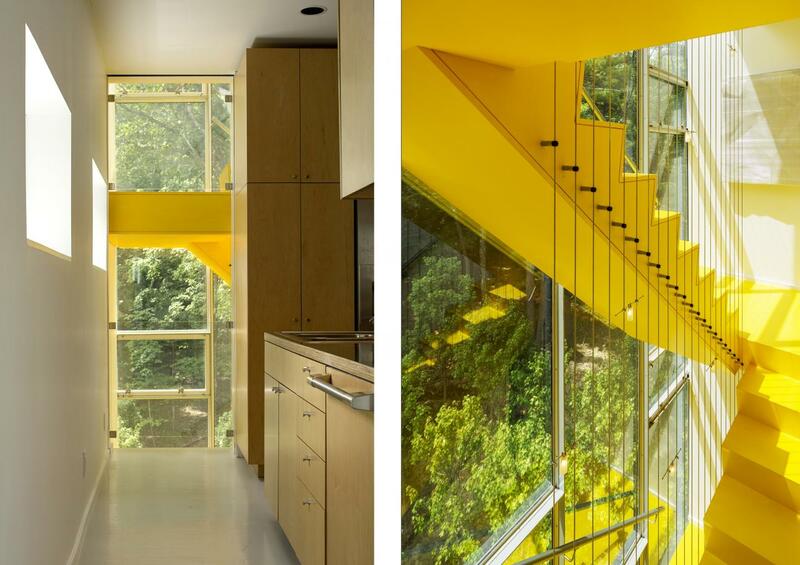 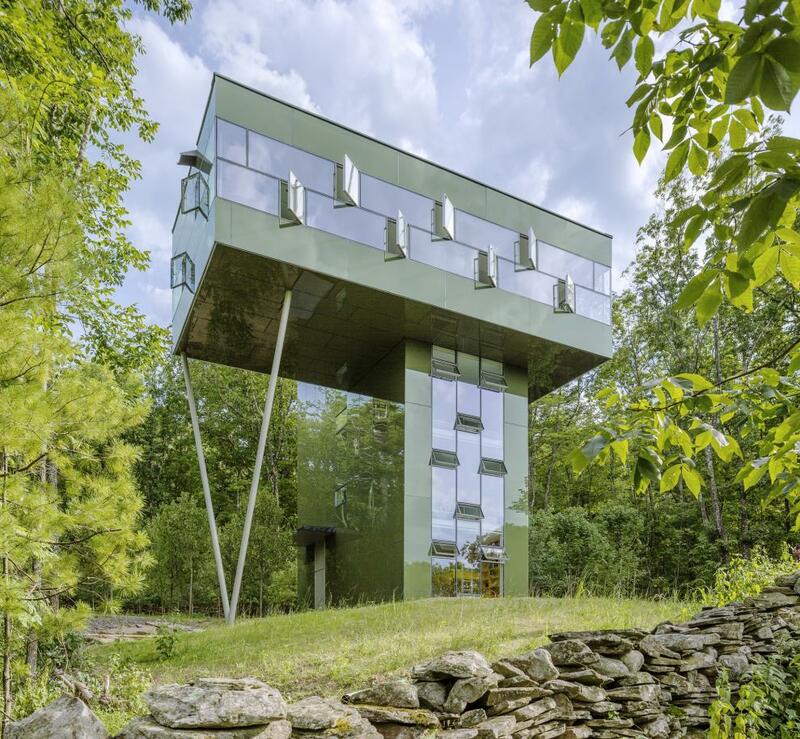 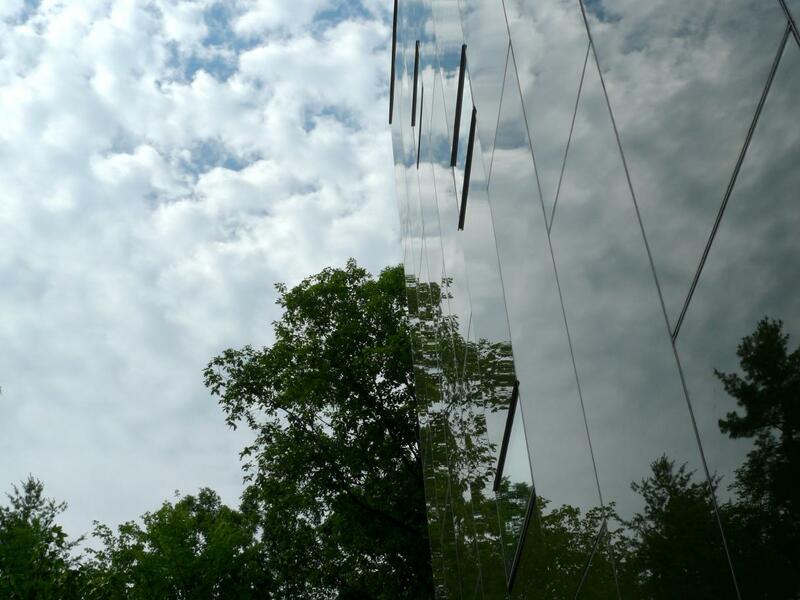 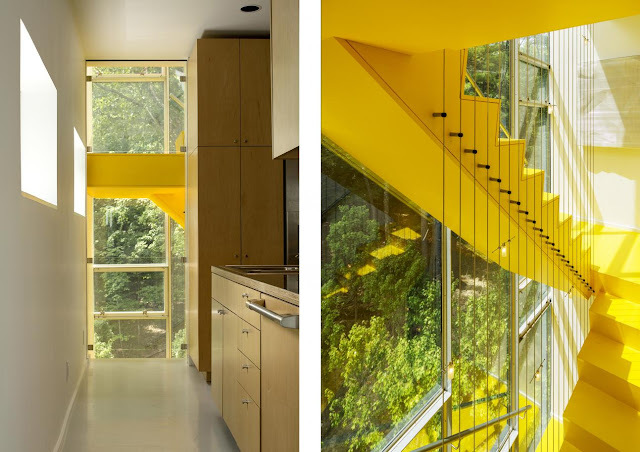 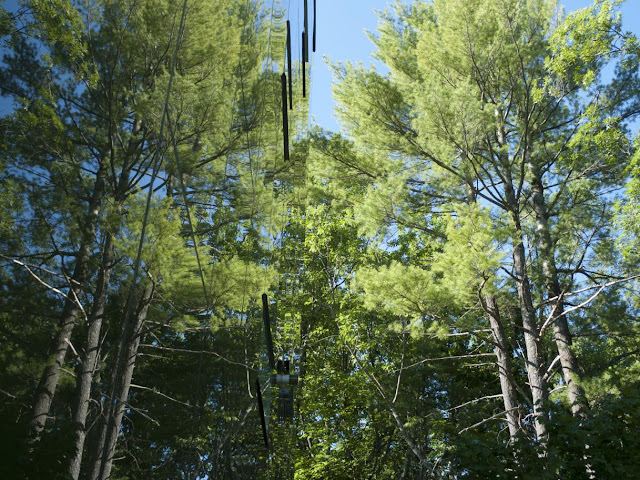 The glass-enclosed stair highlights the procession from forest floor to treetop aerie, while the dark green enameled exterior camouflages the house by reflecting the surrounding woods, and dematerializing its form.